Ever wanted to visit the Louvre, but couldn’t afford the trip? Evolution Games is here to help with Louvre HD for iOS, an app that opens up the famed museum virtually, enabling art lovers to check out over 2,300 painting by more than 800 masters. Users can not only view the paintings, but have the ability to export the works to their photo albums, e-mail favorites to friends, and post paintings on Facebook. 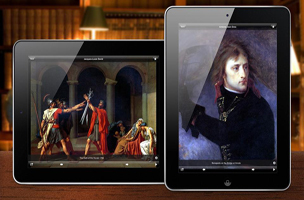 There is even a zoom feature for serious art lovers and students, enabling users to examine the paintings up close in high resolution while soaking in some of the world’s most beloved paintings to the sounds of classical music. Louvre HD was previously released on Google Play and Amazon.